Newspaper – How many of you have trudged through a Florida afternoon rain shower that left your sneakers more than a little soggy. Thanks to a suggestion from a family friend, I now know a trick that has my tennis shoes dry by the next morning. Be sure to pack a couple of newspapers. Just crumple up a sheet, or two, and then pack it or them inside your shoes. Overnight, the paper will absorb the water, and your shoes will be as ready as you are for another day of park and or resort fun! 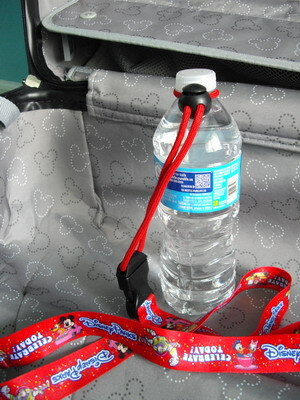 Bottle Strap – Available for purchase at several snack kiosks on property, the easy to use WDW bottle straps will enable you to remain hands-free while keeping a refreshing beverage conveniently at the ready. They also provide the added benefit of preventing you from leaving your bottle on a ride, in a shop, etcetera. If you have previously purchased one, be sure to pack it so you can save yourself some time and money. 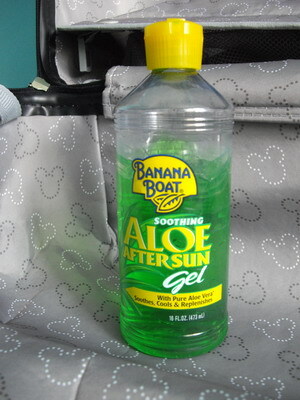 Banana Boat® Soothing Aloe After Sun Gel – If you are like me, you sunburn easily even when using sunblock. Whether the burn is slight or extreme, the gel provides immediate cooling relief. Since it is not medicated, it can be applied liberally and as often as needed. The product smells wonderful, and is not at all messy. In fact, its scent is so pleasing and memorable that I cannot help but associate it with Walt Disney World. 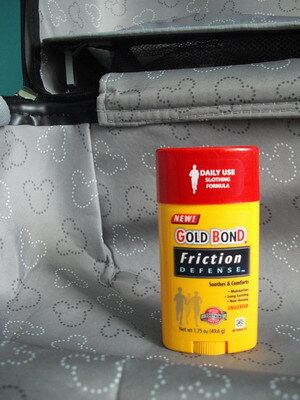 Gold Bond Friction Defense™ – No matter how I try to avoid it, I develop bothersome and painful blisters on my feet while on vacation. Of course, this typically happens on the first or second day of the trip; as a result, I spend the remainder of the time slapping on bandages that inevitably fall off. 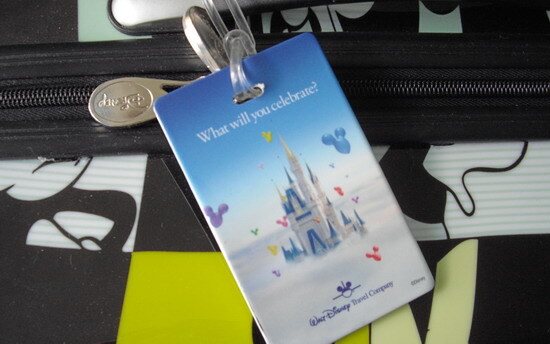 Fortunately, prior to my last WDW trip, my mom found this amazing product. It comes in stick form—similar to deodorant—and can be used as often as needed. On day one and each day after, I applied it wherever I anticipated my shoes rubbing, and my feet remained blister free the entire trip! Halo® Charger – These compact, light-weight portable battery chargers definitely get the job done. You can choose one that meets your demands because they are available in a wide range of charging capabilities (2000-8400 mAh). Each one comes with connector cables that make it compatible with a variety of brands and products such as smartphones, tablets, and more. Small enough to fit in a pocket, one of these chargers will help keep your devices ready for use without having to waste valuable park time at a charging station. My version works with my iPod™ Touch, Samsung® phone as well as my husband’s Windows ® phone. 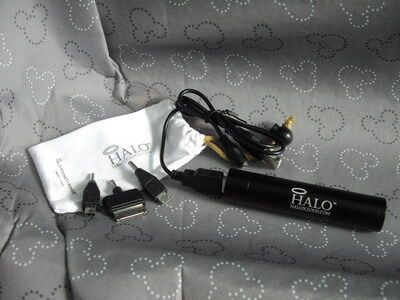 Simply charge the Halo in-advance via the USB cable. 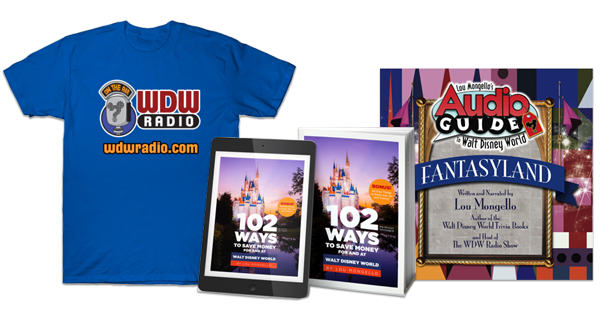 You can be confident, instead of disappointed, because it will keep you tweeting, texting, filming, etcetera on your WDW adventure. 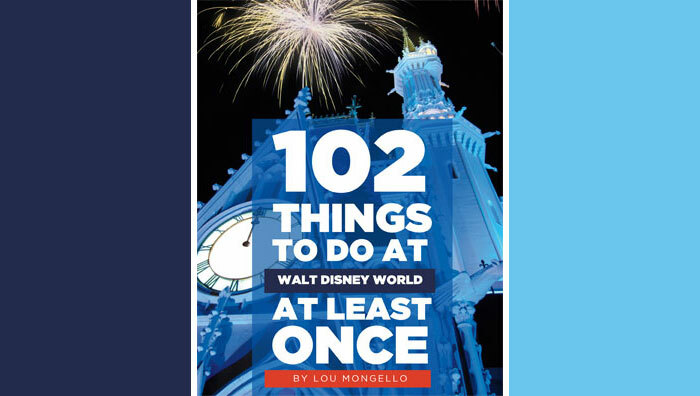 What items always make your Walt Disney World packing list? 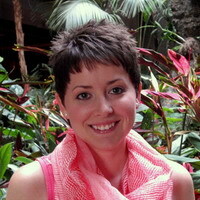 Have you discovered any products that help solve common vacation problems? Alas, newspapers have not been delivered outside of deluxe resort rooms for quite sometime (we just returned from our 29th stay at the Grand Floridian Resort…club level…and had to go to the concierge desk area to secure them); however, they were placed outside of the Roy Disney Suite several seasons ago. Thanks so much for these little nuggets of wisdom! I’ve been numerous times to WDW, but there’s always something to make the trip a lot nicer. We’re heading down in September for a big family trip and it will be my grandchildren’s first trip. They are 10 and 12, so it will be a lot of fun for them and I want it to be as stress free for all of us. I especially like the bottle strap and friction ease and I never would’ve thought about the newspaper drying out your shoes. Thanks again!! Bill: Thank you for the update on the newspapers. My husband will be very disappointed about this. He loved starting every morning with his pastry, coffee and newspaper on the terrace of our room. Sheila: I am so glad you found the article helpful. I hope you have a wonderful trip with your grandkids. How exciting that you have the opportunity to join them for their first trip! Ziploc bags! Use them for food, loose change, keep smaller souvenirs together. If you do get blisters instead of band aids, use Dr Scholls Mole Skins. Wal-Mart, grocery stores sell them. They are a thick padding that sticks very nicely over the buster similar to a band aid. Experience Disney’s first aid has them. Yep. I pack all of the above. Wanted to get a new water bottle lanyard strap with adjustable end thred …..nowhere to be found …wandered from place to place ..even the staff couldn’t help snd sent us everywhere. When traveling to Disneyworld during summer(May-mid October), we always pack Frogg Toggs. They are towels that are made of a special material that stay cool. They really help with the heat! Joan, that is a great suggestion. I have looked at towels like that in the store and wondered if the work well.